If your student has a diagnosed food allergy, food intolerance, medical condition or disability which requires a special diet, LPS Nutrition Services will accommodate that dietary request upon receipt of a completed Medical Statement for Children with Special Nutritional Needs form. Download a copy or ask your school’s health office for a copy. The form must be completed by a licensed health care professional (see page 1 of the form for further instructions). Please allow up to 5 school days from receipt of the Medical Statement for Nutrition Services to plan for the appropriate menu adaptations and obtain any special foods needed to make the correct meal(s) for your child. During the planning process, please send a lunch from home. If your student does not plan to eat meals and school and will bring lunch from home, it is still recommended to make sure that the school has allergy and health information on file. If you have additional questions about special diet meals, search our list of topics or contact us to request a meeting with our dietitian. Our LPS student population is very diverse — from the range in age of our students (preschool through grade 12), to family traditions, personal background and lifestyle. Food choices are made for many different reasons, including cultural, emotional, economical, religious, ethical, environmental and personal health. We try very hard to offer a variety of foods from which students can select their meals. As a courtesy, our menu includes at least four or more entrée choices every day, including at least two meatless options, as well as several choices of fruits, vegetables, grain and milk. 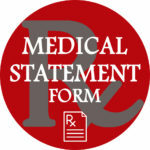 If you would like to request a meatless or vegetarian diet for your student, please download a copy of the Medical Statement form or ask your school for a copy. Parents may also request lactose-free milk or soy milk, as a substitute for cow’s milk using this same form. Still have questions? Use the Common Questions and Topics above which covers many topics including pork, fish, meatless and vegetarian diets. Each month special diet menus are prepared by the Nutrition Services Dietician. These are posted and available for cafeteria staff, students, families, nurses and health office staff. 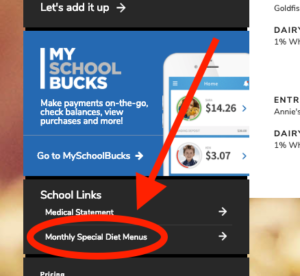 For your convenience, there is also a link on the Mealviewer page, just below the “My School Bucks” information. 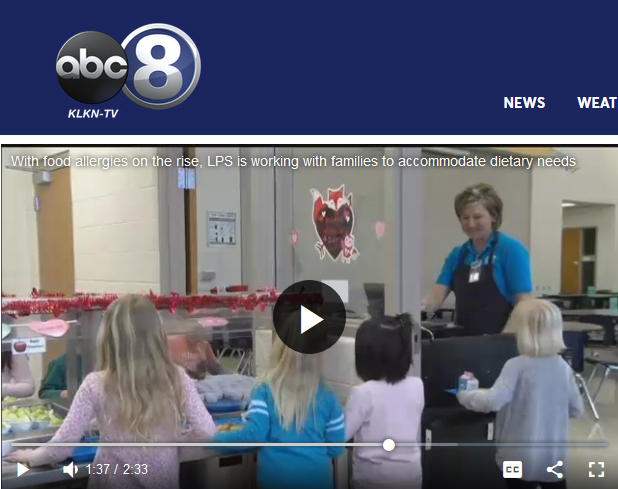 When a student has very specialized needs, a team of LPS staff will work together with the student and family to provide the prescribed diet needed. If you have a question about your student’s special diet contact us via phone or email or request a meeting. What About Preschool (Early Childhood Program) students? If your preschool student needs a special diet, have your health care professional complete the Medical Statement for Students with Special Nutritional Needs form and return it to your school’s health office or your classroom teacher. Ask your teacher to notify our department immediately of the need for a special diet. 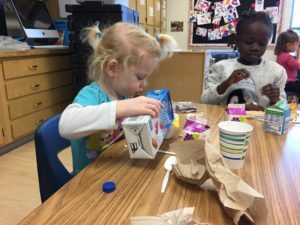 Outside food is not allowed in preschool classrooms. Please allow up to 5 school days from receipt of the Medical Statement for our department to plan the appropriate menu adaptations and obtain the special foods needed to make safe meals for your child. Feel free to contact our dietitian directly with any questions or to discuss your child’s dietary needs. The organizations listed below are reputable sources of information related to feeding children, food allergies, school meals and general nutrition. 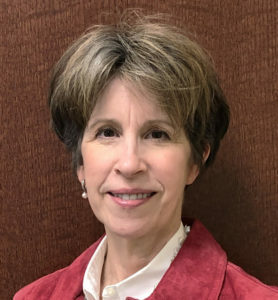 Every year the Ellyn Satter Institute helps tens of thousands of parents, grandparents, children, teens, adults, and health professionals reimagine and reshape anxiety-infused relationships with food into joyful journeys of healthful well-being. The Academy of Nutrition and Dietetics is the world’s largest organization of food and nutrition professionals. The National School Lunch Program (NSLP) is a federally assisted meal program operating in more than 94,000 public and nonprofit private schools and residential child care institutions nationwide. It provides nutritionally balanced, low-cost or free lunches to more than 26 million children each school day. The Food and Nutrition Service administers several programs that provide healthy food to children. Administered by state agencies, each of these programs helps fight hunger and obesity by reimbursing organizations such as schools, child care centers, and after-school programs for providing healthy meals to children.  The School Nutrition Association (SNA) represents 58,000 school nutrition professionals nationwide. Whether they are employed by the school district’s “Nutrition Services,” “Child Nutrition,” or “Foodservice” department, they are all working to provide healthy school meals that help students succeed in the classroom and beyond. Please contact our office with any questions or concerns related to special diets, special meals, or to request a meeting. Our department works closely with the health office staff as well as the School Administrative staff and other personnel such as special education and speech therapy. We understand how important your child’s health is and school meals are an important part of their day. Serving a healthy, safe meal is a top priority. 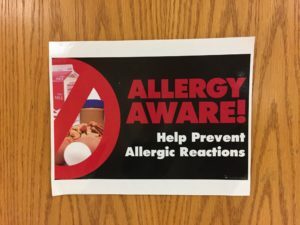 Approximately 1,400 students have documentation on file for special diet needs, while 1,500 LPS students have reported allergies. Nutrition Services works with families to ensure that their student enjoys a safe, healthy school meal along with their friends.